Item No. 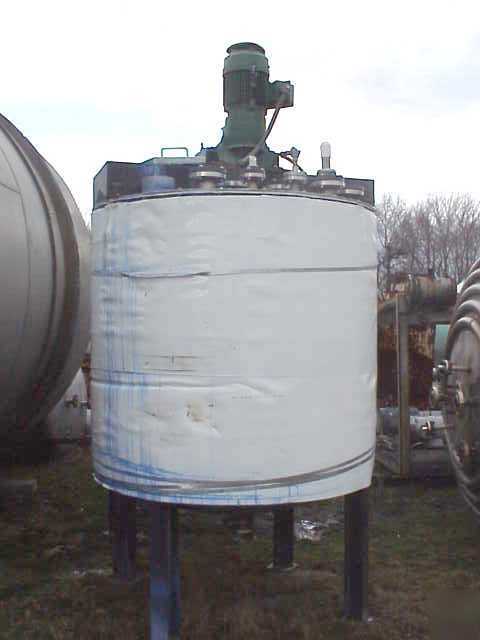 : 280556 Category: Tanks Manufacturer: RAS H/V: V Material: 316SS Gallons: 675 Bottom: DISH Top: FLAT Diameter: 5' Height: 4'10" Description: Jacketed Mix tank. 7.5 HP Lightnin 10 seris mixer, 125 RPM output. Dimple jacket side wall and bottom head. Jacket rated 70 PSI @ 212 F. Notes: Price/Availability Subject to Change Without Notice We load most items FOB Pedricktown, NJ. Email or Call Frank at Cell anytime with questions. Thank You!